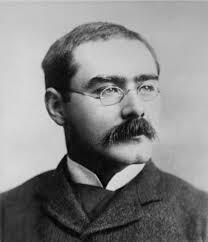 Today in Masonic History we present The Mother Lodge by Rudyard Kipling. An' I was Junior Deacon in my Mother Lodge out there. Of the Sursey office, too. An' we kept ‘em to a hair. Of the God 'e knowed the best. An' that dam' brain-fever bird. Changin' pickets in our ‘ead. In my Mother Lodge once more. With my Mother Lodge once more.